If you’re thinking of remodeling your kitchen, bathroom or entertainment cabinetry, you’re in good company. Millions of people remodel kitchens, bathrooms and living rooms each year. There are a number of reasons to remodel. Your most important reason for remodeling kitchen cabinets may just be that you’re sick and tired of your current kitchen cabinetry with its doors hanging loose and drawers that stick. But bathroom and kitchen remodeling adds value to your home, makes it more environmentally friendly with updated and more efficient appliances, and makes your home a safer, cleaner place to live. Unless your existing bathroom, kitchen or living room entertainment cabinetry is an antique or otherwise valuable, in general, replacing is the better option. Old cabinetry tends to accumulate mold and mites, and water damage can bend and warp the materials. 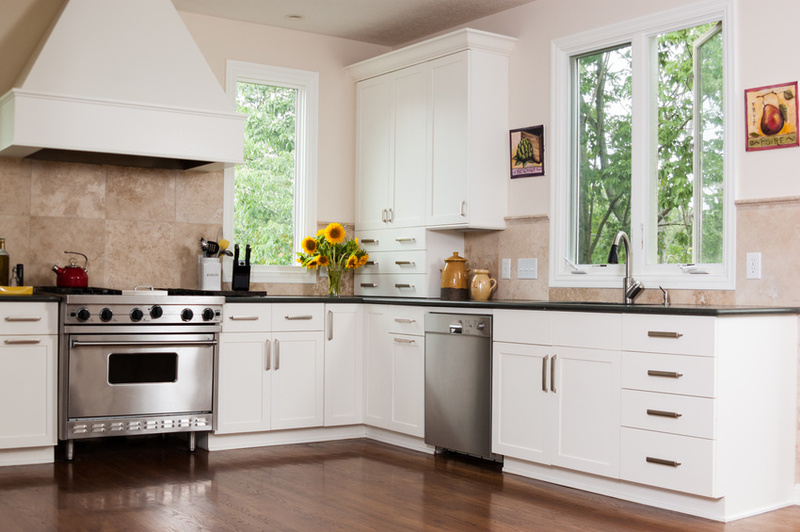 Even if you are considering only refacing your cabinetry, it’s easier and costs less to just replace them outright. Repairing old cabinetry can be expensive and time-consuming, and is mostly not worth the effort and cost. If you’re one of the approximately 7.6 million homeowners who choose to model their kitchens in the U.S. this year, the best advice you can get is to plan ahead. Or better yet, get the help of a professional designer to help you plan your entire kitchen based on your family’s needs, activities and habits. According to the National Kitchen and Bath Association (NKBA), it’s a good idea to spend as much as six months to evaluate your needs and plan your new kitchen design or entertainment cabinetry. There are any number of factors to be considered in kitchen design: what is the most convenient placement of appliances, sinks, counters and seating? What materials do you want you want to use for sinks and countertops? For your cabinets? What is the overall look you’re aiming for? Cozy country kitchen with wood accents and cabinetry? Or ultra modern with stainless steel and granite? Experts recommend giving the highest priority to the appliances and countertops when planning your dream kitchen, since you will be using them every day, for years to come. Kitchen design has come a long way and designs reflect the concern for ease of use. No more drawers that stick or fall out: in fact designers have created user friendly options like roll-out shelves that make it easier to reach things in the back. A bathroom remodel is your chance to remake this very important and private space according to your own specifications. And you can choose water-efficient new fixtures that will make your home more ecofriendly, while you’re at it. Older water fixtures tended to be wasteful of water. New designs save water and lower your bills, while helping the environment. Consulting a professional designer will help you pull it all together, from cost and environmental impact to aesthetics and the practicalities of remodeling. You can get all kinds of helpful expert advice like locating your new plumbing futures near the old pipes. This saves money on both demolishing the old pipes and fixtures and on repairs before you can install the new ones. One of the major benefits of remodeling your kitchen, bathroom or living room entertainment cabinetry is that it adds vale to your home. You may think you’re investing in your own comfort and convenience, but the money spent also improves your home’s selling price. The annual Cost vs. Value Report issued by Remodeling Magazine shows that a remodeling investment of $16,128 will recover up to 72.5% of the cost if you choose to sell your home. For all home remodeling jobs, brining in a professional designer has many advantages. A professional designer can pull together all the elements of the redesign, combining style and efficiency. A professional designer can also handle the logistics, scheduling contractors and installers in the right order so that the whole job is completed efficiently.